The body and water contact surface is made of food grade silicone, which is the same level as the baby pacifier. It is very safe and healthy with no harmful substances. The bottom plate heating plate is made of 304 stainless steel, which is very safe, not easy to rust, anti-fouling and easy to clean. When the temperature on the heating plate reaches the boiling water standard, the temperature control will be disconnected. 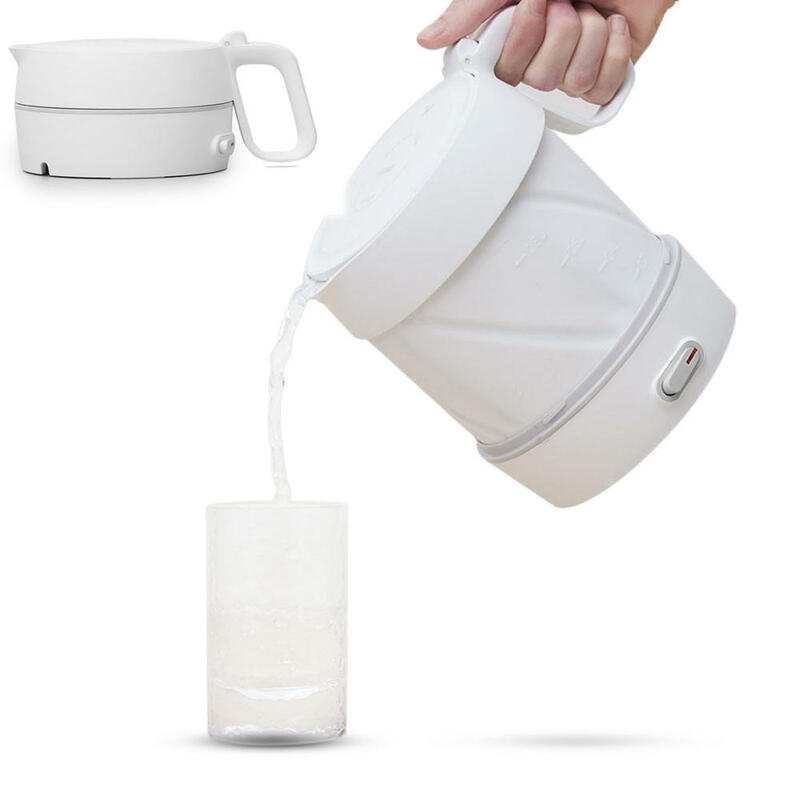 When there is no water in the kettle, the dry temperature control on the heating plate will be disconnected to protect the battery. Another state is that when the water temperature is lower than the temperature control, the temperature control will automatically turn on the power to reach the water boiling standard.